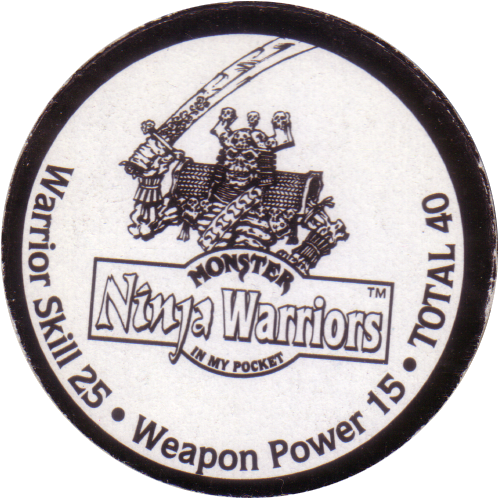 Info:Monster Ninja Warriors in my pocket was a series of toys sold by Vivid Imaginations during 1996-1997. 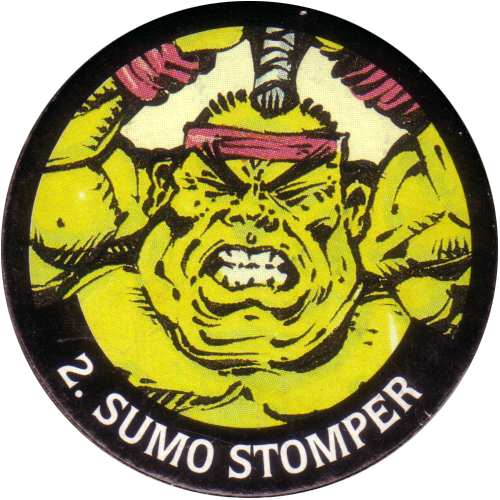 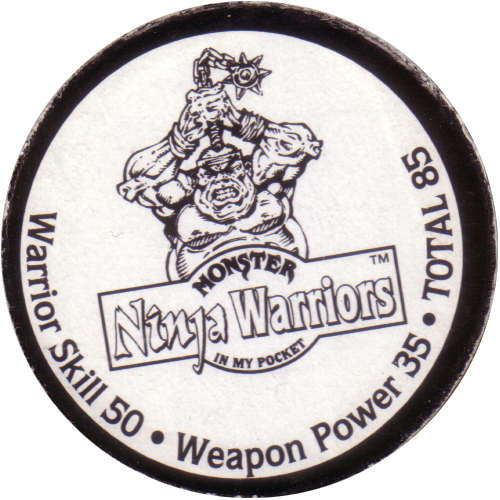 Similar to the previous Monster Wrestlers in my pocket series, each toy came with a Ninja Power Cap (pog). 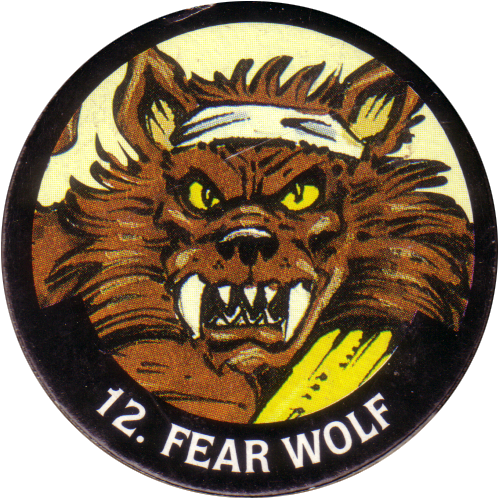 There were 12 characters available separately, two in two character sets, and one as a bonus that you could send away for with tokens from the packs, making for a total of 17 caps. 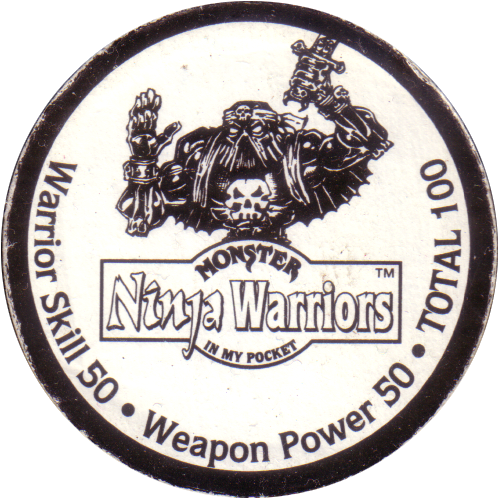 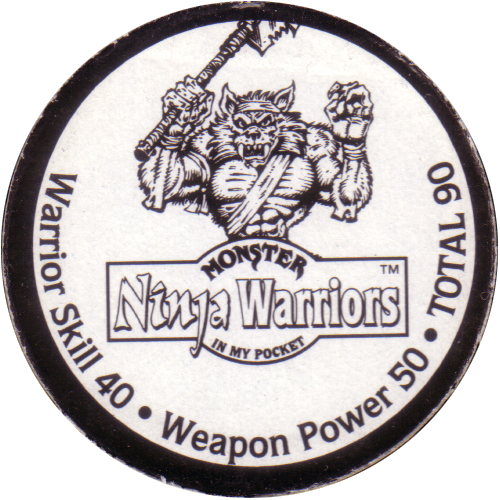 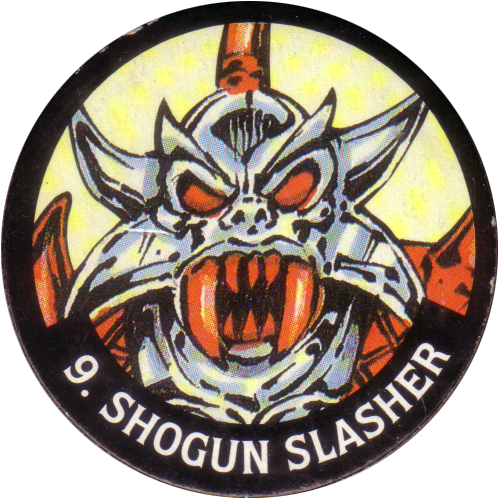 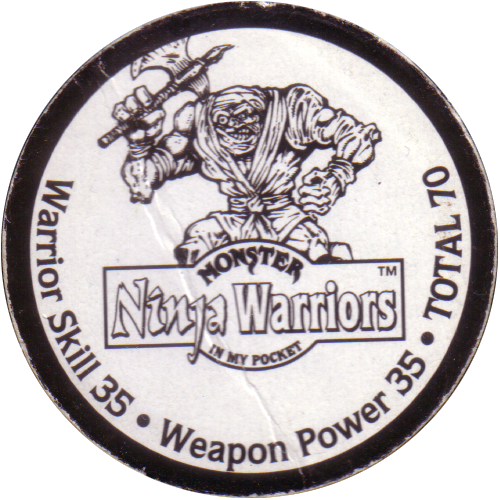 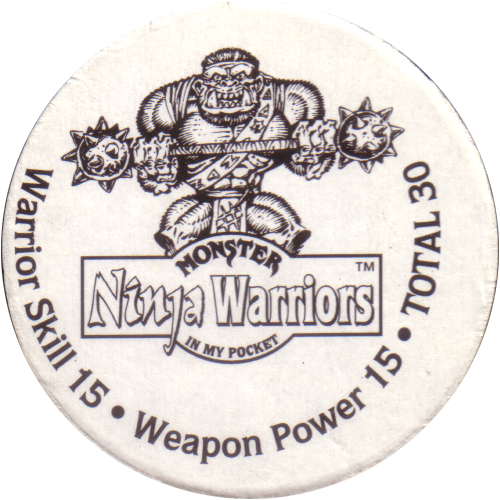 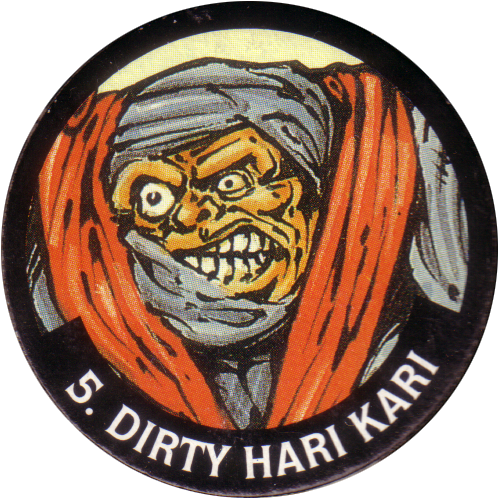 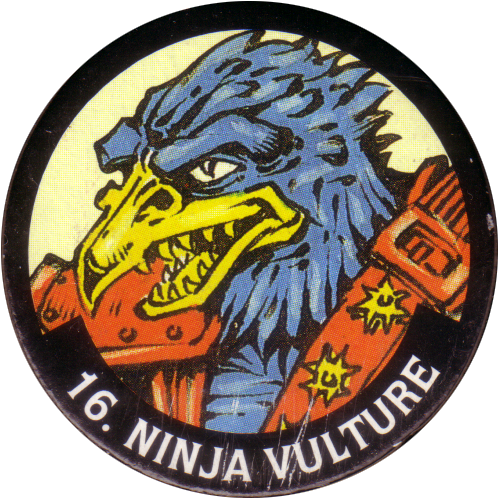 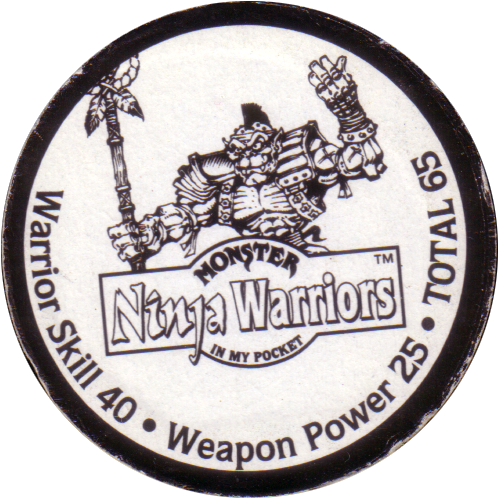 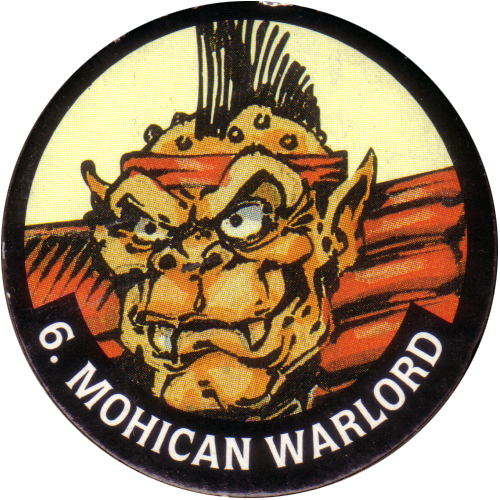 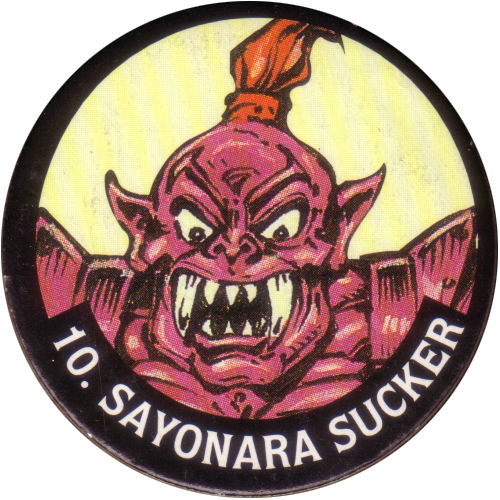 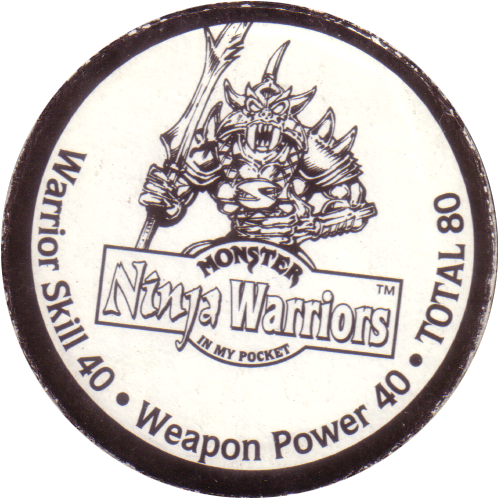 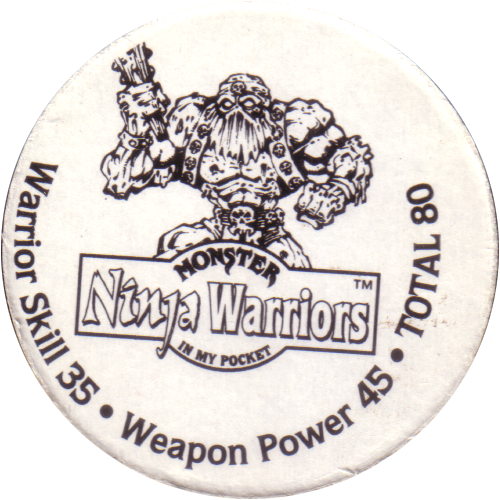 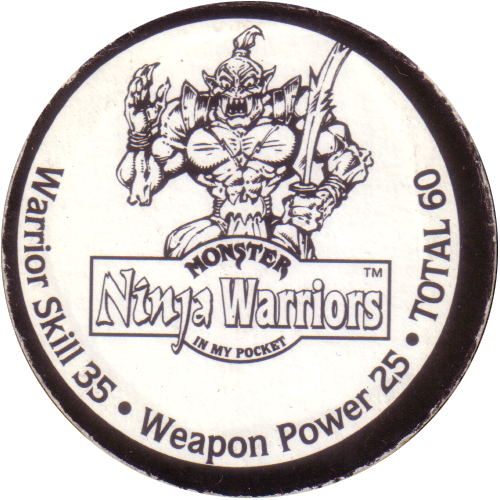 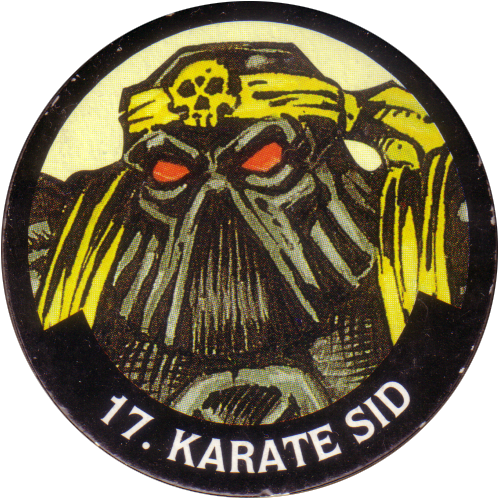 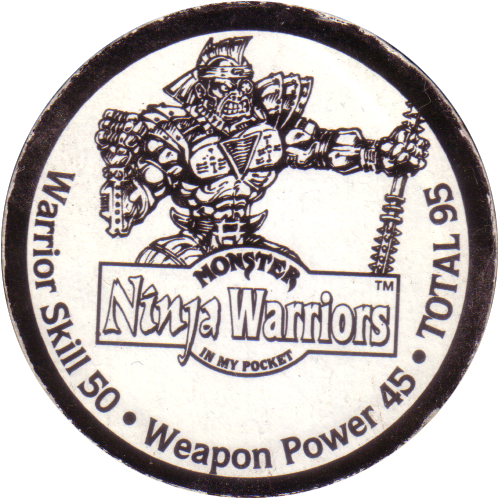 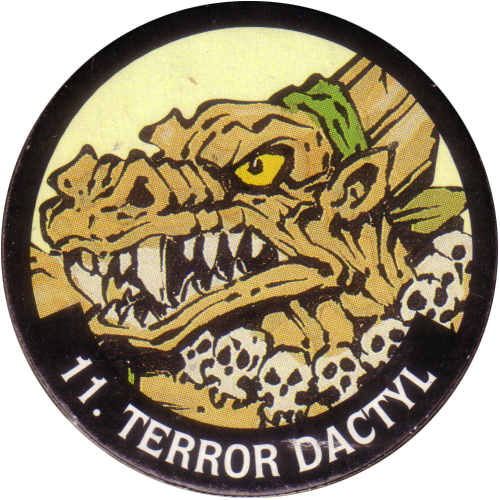 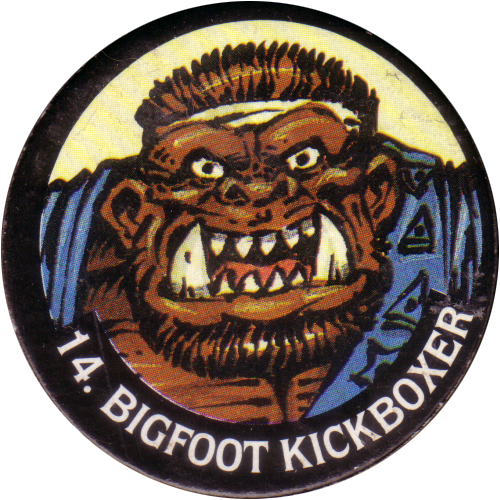 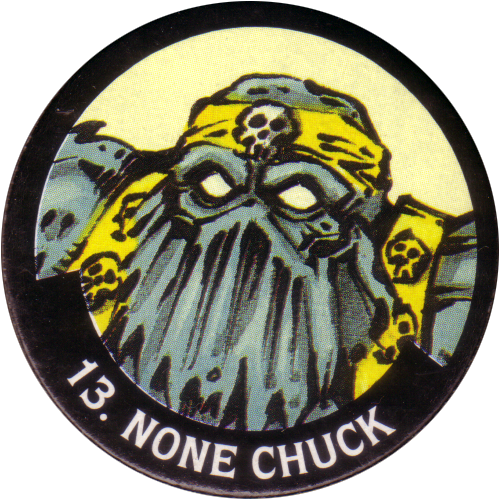 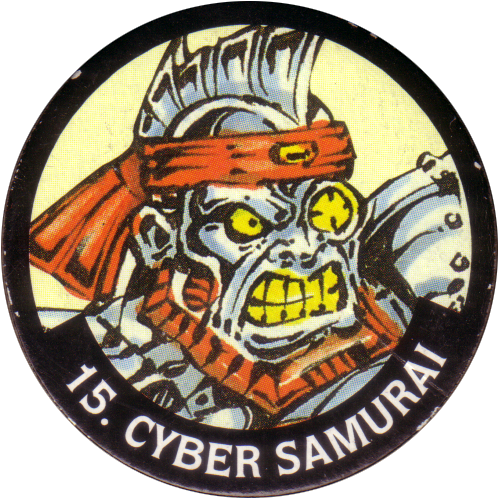 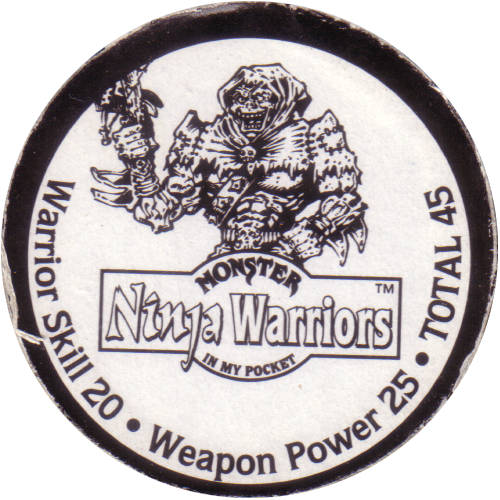 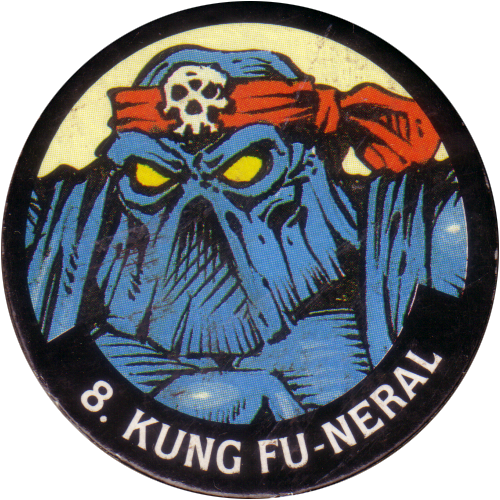 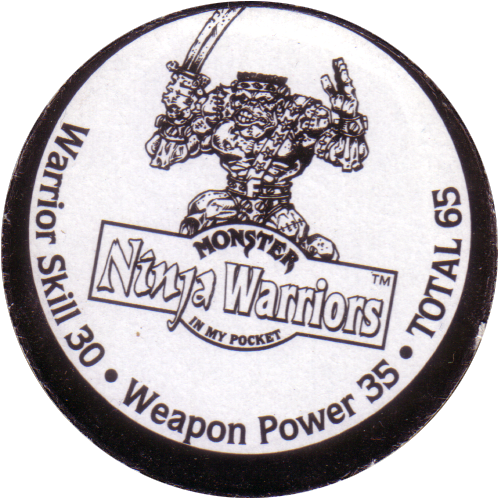 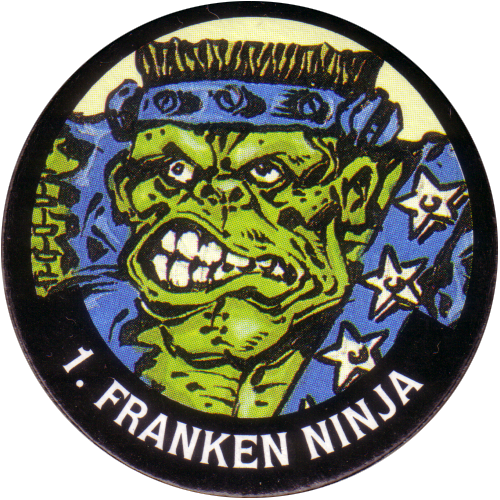 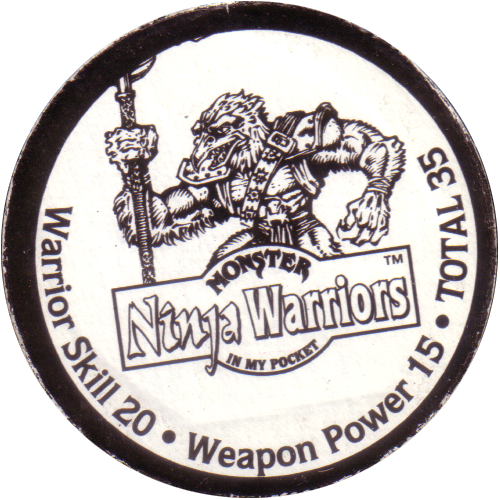 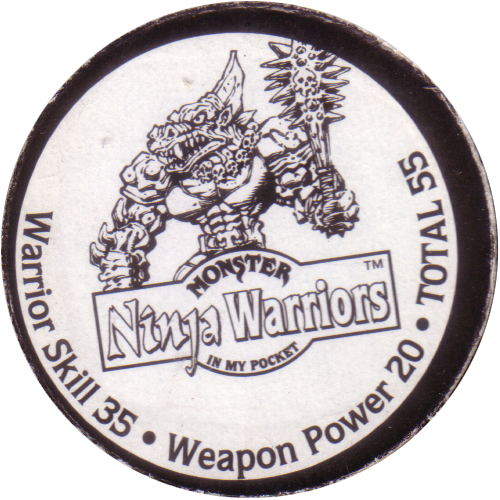 On the front of each Monster Ninja Warriors in my pocket pog it features a close-up of the character the pog came with. 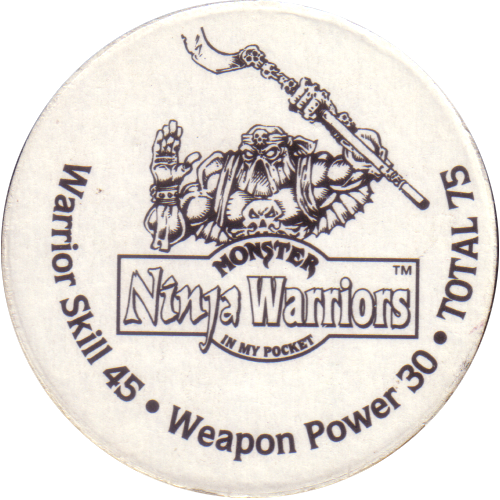 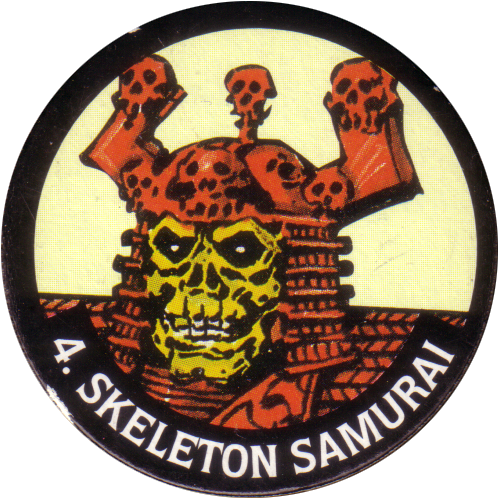 On the back it has a black and white drawing of the character and Warrior Skill & Weapon Power points. 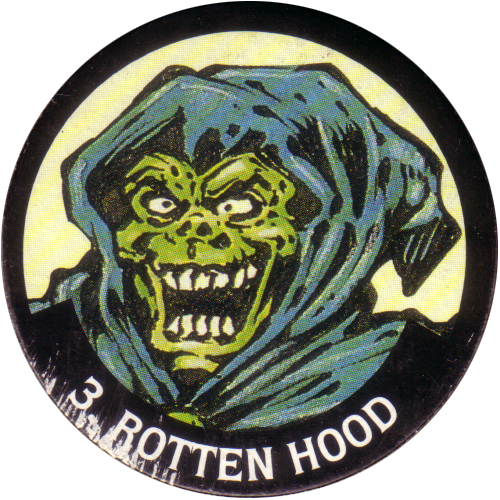 There appear to have been two different print runs, one with a white back, and one with a black ring around the back.